Help Me! equips people to grow as individuals and have thriving relationships. Help Me! A Psychotherapist’s Tried-and-True Techniques for a Happier Relationship with Yourself and the People You Love by Richard B. Joelson is a holistic guide to healthier relationships, inside and out. The book is divided into four sections—being, living, loving, and thriving—that go from intrapersonal to interpersonal relationships, including partnered relationships and a full network of healthy relationships, essentially covering every aspect of life. Each section has short chapters that give focused insights and real-life examples. The chapter titles and subtitles are inviting and informative, such as “Premature Quitting: How can we distinguish between self-care and giving up?” These showcase the balance of insight and real change proposals throughout. 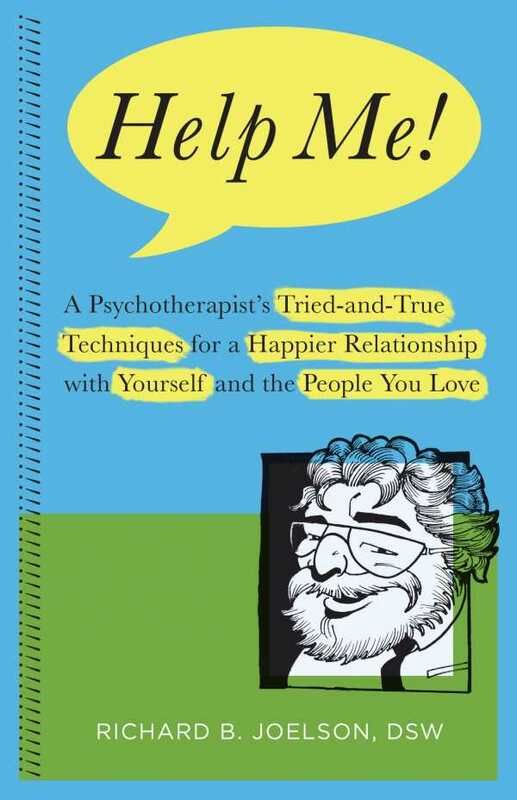 The book covers many classic psychotherapy topics like maladapting and codependence, but its balanced comprehensiveness and can-do spirit keep it from being as overwhelming as many other books in this category. The thought of changing the way that you think about yourself and relate to others can be intimidating, but Joelson’s book is approachable and positive. It does not shy away from hard questions, and it provides the tools needed to address questions fearlessly and reap the benefits of personal growth. Its tone is always affirming, refraining from blame and relentlessly asserting that all people face challenges and all can grow to have healthy relationships despite them. The text’s pace is quick, allowing for a swift move from reading to implementation, in recognition that most of what is involved in life changes happens outside of books. The book can be read cover to cover or used as a quick, topical reference. Cross references at the end of chapters enable people to jump to other sections that may relate to what they’re going through. Internal examples of real people using these methods give a concise sense of how concepts play out in daily life. This book is widely accessible and relevant. Many people want to improve their relationships, break unhealthy patterns, and safeguard their relationships, even in crisis. This title will be a great fit for all of those seekers, anyone questing toward self-improvement, and those in the midst of relational crises, though its holistic benefits will be most accessible to those not in the midst of a trauma. Joelson’s deep expertise and experience as a therapist give the book a rich value, and it is clear that he enjoys helping people come to healthy realizations. The design and layout are high quality and appealing, bolstering the sense of the book’s quality.